Glass Graphics creates and installs 3-Dimensional Raised Letter signs for use in your lobby, displays, conference room walls, or elsewhere at your place of business. These signs are typically made with fabricated materials such as cut metals, acrylic, EPVC, foam, and more. We can make these signs in your corporate colors, or in a wide variety of metal laminate finishes such as brushed and polished stainless, brushed and polished nickel, brushed or matte finish anodized aluminum, polished and brushed brass, oil rubbed bronze, and many more. These finishes can be laminated onto a variety of materials and thickness to give a 3 dimensional, thick and rich look. The sky is the limit when it comes to mounting options for our dimensional letter signs. Glass Graphics can mount them on sheetrock, brick, wood, stone, and more. We very frequently mount these letters on, or integrated with, our sandblasted glass creations. We can also come up with the perfect lighting scheme for your 3D letter sign. 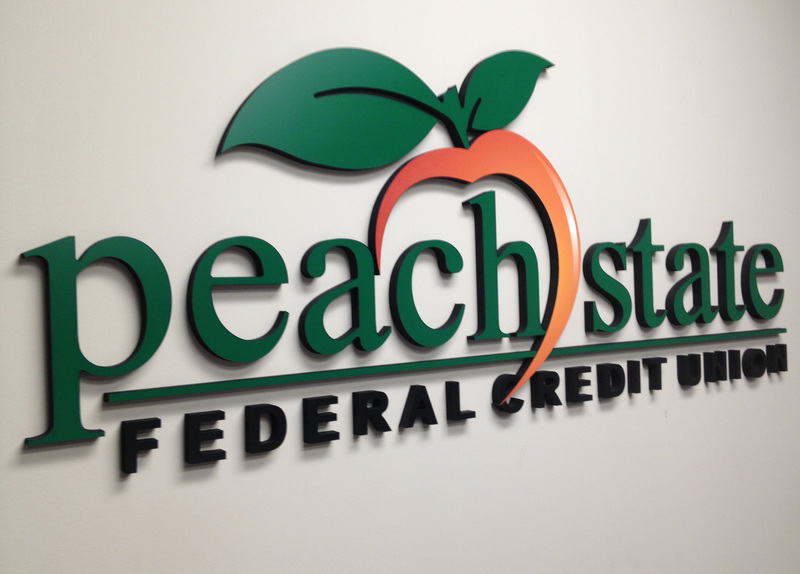 Dimensional letter signage is a great way to get your branding in front of your customer. Business office sandblasted sign on stand-off mounting with dimensional letter signage overlay by Glass Graphics of Atlanta. Exterior dimensional letter sign by Glass Graphics of Atlanta. Interior dimensional letter sign for a medical office by Glass Graphics of Atlanta. Interior dimensional letter sign for an office by Glass Graphics of Atlanta. Corporate greeting / slogan on dimensional letter sign by Glass Graphics of Atlanta. Dimensional letter corporate logo sign on glass panel mounted on stand-offs by Glass Graphics of Atlanta. 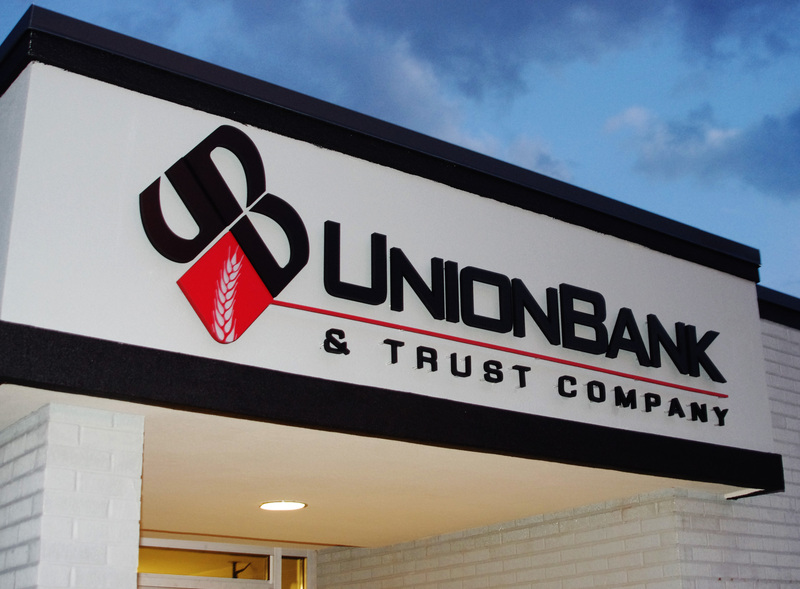 Corporate logo on dimensional letter sign by Glass Graphics of Atlanta.